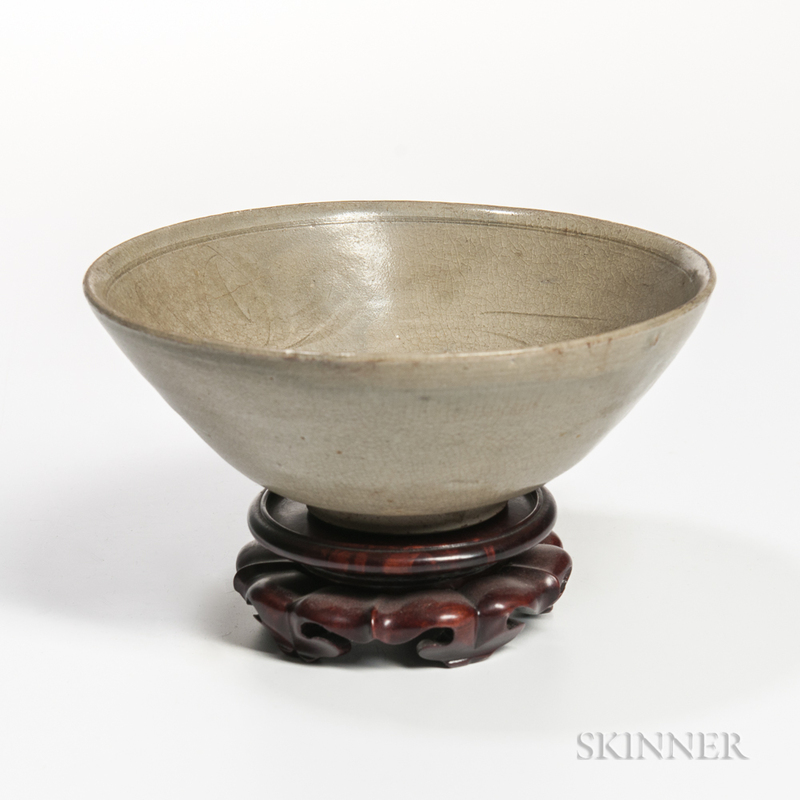 Celadon Bowl, China, Ming dynasty style, decorated with incised lotus scroll design, on a bisque foot, fine allover crackling, ht. 2 1/2, dia. 6 7/8 in. minor chips to rim, clay impurities to well.